The world’s leading executive recruiters are filling the world’s top positions right now. If they can’t find you, they won’t consider you. By registering with GatedTalent you are already putting yourself 'on the radar' of 200+ executive search firms. Senior-level executives from 90 countries already have! 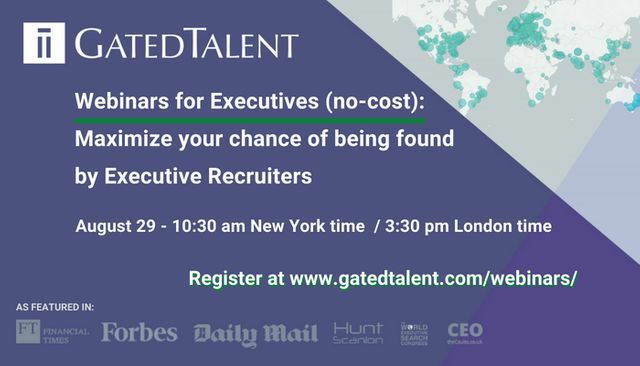 Join this webinar to learn how to maximise your chance of being found on GatedTalent by Executive Recruiters. Cannot attend? Register anyway to receive a recording to watch at your convenience.